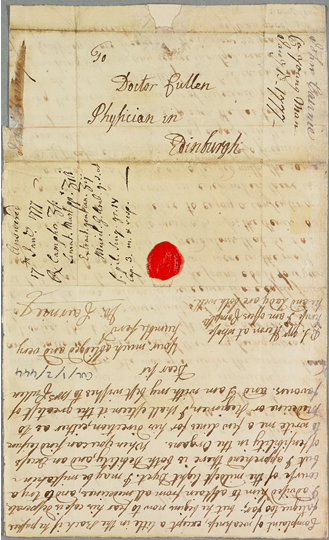 The Cullen Project | The Consultation Letters of Dr William Cullen (1710-1790) at the Royal College of Physicians of Edinburgh (RCPE). A Glasgow University Digital Edition. Cullen's private consultations survive as a remarkable archive of several thousand letters. Now available online. I made bold to send you a few Birds by the Diligence on the second day of the Season, which I hope arrived in good Condition and hope soon and hope soon to be able to send a brace or two more...It is the only way I can at present make any Return for the many Obligations I am under to you. The Case of Dr Samuel Johnson who has asthma and dropsy.